Ella Bache Eternal Repair Night Cream is a luxurious balm rich in hyaluronic acid microspheres to gently smooth out your skin and create a more even, less lined appearance with every use. Ella Bache Eternal Repair Night Cream smoothes your skin from the inside and out, with intensely firming collaxyl (a collegen peptide) your face redefines itself night after night. 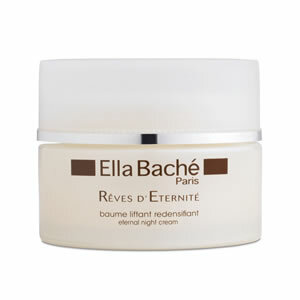 In the morning Ella Bache Eternal Repair Night Cream reveals perfectly plumped and nourished skin.